My wife was looking through some old files recently and came across an article that she thought I might appreciate. She was right. “The second day [in Central America] you wake up at 3:00 A.M. and start to cry,” he said. “You don’t have to go to the university to see something is wrong… You don’t have to study. Harold’s conscience not only infected him, but quietly and thoroughly worked its way under the skin of those around him and challenged one’s sense of fairness and morality. He had not only become infected, but contagious. With gratitude, many of us came down with the symptoms. My own journey eventually led me from Harold’s company to Winds of Peace. And while that “bur” aspect may have dissipated since Harold’s death in 2013 at age 95, the same focus on the poor of Nicaragua still drives the organization which Harold and Louise founded. Since its inception, the Foundation has learned a great deal about development in Nicaragua, and even many perspectives since his passing. But curiously, most often it is driven by the image of that little boy who Harold described so emotionally. Harold’s analysis may not have been perfect, but his sensitivities were. How else might one explain the decision which he and Louise made thereafter, to use essentially all of their assets to fund Winds of Peace and its beneficiaries. Harold was adept at being a voice of social conscience within his church and broader community, but he was also an architect for building an initiative, one that could help to create sustainable change in the organizations of the peasant communities. This committed capitalist became a generous steward, a fierce voice for social and economic justice, and an irritant to the comfortable thinking of those who heard him. I did not need a newspaper article from the archives to recall what Harold and Louise Nielsen were all about. I am blessed to have worked with Harold for 39 years, to have witnessed his transformation and to have been infected with my own. But every so often, it’s nice to look back upon someone else’s amazement at the impact of just one “ordinary” person on the lives of so many. I re-read the article with my own renewed sense of wonder, appreciation and love…. 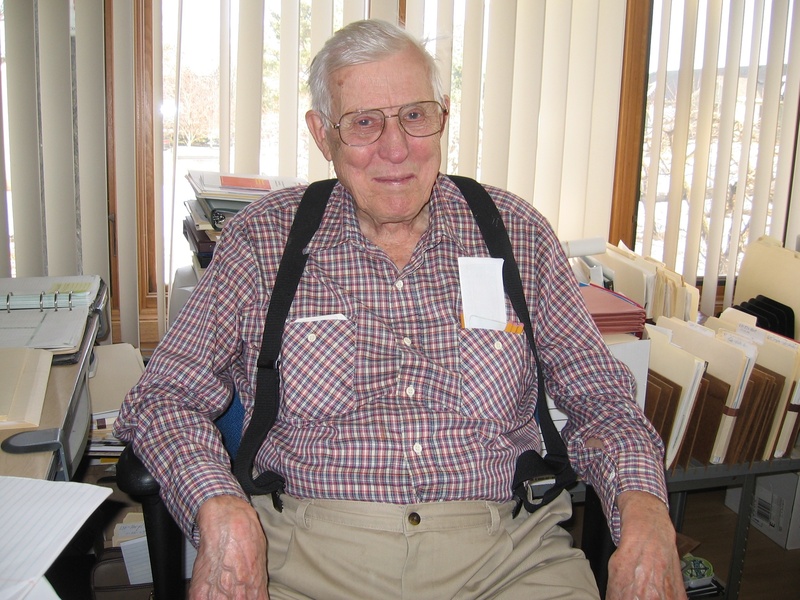 Winds of Peace co-founder Harold Nielsen passed away one year ago, on November 11, 2013. We thought a remembrance of Harold would be in order, in addition to a reflection on what has transpired during the past year. The following is dedicated to the memory of both Harold and Louise, and their presence in the life of the Foundation- a presence that we miss daily. Seems like yesterday that we said good-bye. In fact, it was one year ago today. It’s hard for me to believe that Winds of Peace has another year of experiences since we last spoke. I thought I’d give you an update on how things are going, what we’ve encountered and what might lie ahead. You’d be disappointed to learn that our government continues to pretend that the economy is healthy following the great recession. It has continued to drive deeper into debt, print money as a salve and create statistics that have almost no semblance of reality. It really has been, as we used to observe, a case of “the emperor’s new clothes.” It has made the management of Foundation funds an uncertain activity at best. Sometimes markets can be anticipated in their movements; manipulations cannot. Speaking of government, I’d have to report that Nicaragua continues to transition into a one-party autocracy that continues to tighten its grip on the country. The democratic structures remain in place, but pretty much in form only. It’s pretty hard for Nicaraguan people to obtain justice when everything is tied to party affiliation. Lots of funding agencies from around the world have left, meaning that our presence has become even more important than before. We’re finishing up a year that has been pretty good in terms of work with our partners. 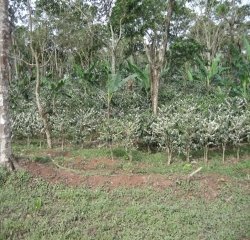 The coffee cooperatives have faced their usual litany of difficulties, some weather-related, some systemically difficult and others due to organizational dysfunction. (I’m afraid that we still encounter so-called “leaders” whose only desire for leadership is self-aggrandizement.) We continue to seek partners who understand that only through full transparency and member participation- women as well as men- will they achieve the “strength in numbers” that will best ensure their collective success. Just as in the U.S., who would have guessed that opening the books and encouraging people to look out for their own well-being would be such a tough sell? We’ve undertaken a great deal more research than even a few years ago. 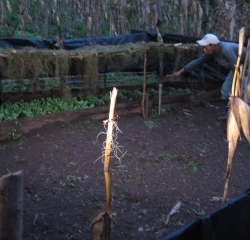 Our collaboration with colleagues in Nicaragua has provided insight and direction with regard to our funding impacts, especially in our work with the rural cooperatives. It feels more like we’re following a map to our destination, supplied with the realities of historical and cultural roadblocks that exist along the journey. I know how much you always valued objective information in your decision-making, and we have more of that than ever before. 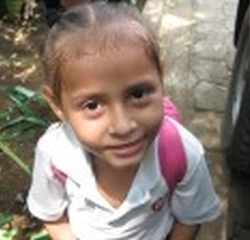 I wish you could read some of the website blog entries posted by our Nica sources! Our partners have responded well in honoring the loan repayments they have promised, and our rate of default is still less than 2%, even after the recent years of coffee plant damage due to the coffee rust plague. That rate is still pretty amazing, given the lack of credit experience for most of our partners and the uncertainty of peasant producer life. And most of these organizations have, indeed, worked to implement a true cooperative spirit of engagement. Do you remember the funding we authorized for translating The Great Game of Business into Spanish? One partner coop not only received the book with interest, but even proudly referenced its application some months later when we met. It’s having an impact. You will certainly remember several years ago, just after Louise passed away, and you talked about wanting to do something significant in a new arena. When we proposed a focus on improving the education opportunities, you endorsed the initiative immediately. Well, just this year alone we have underwritten scholarships for candidates in the Master’s Degree in Teaching at the University of Central America (UCA) in Managua, funded teacher training and evaluation initiatives at IDEUCA, supported vocational and technical training at AMCC and Fe y Alegria, sponsored the Nobel Peace Prize Forum and disbursed funds for the purchase of library books for elementary kids across Nicaragua. I don’t know exactly how many students or teachers we have touched, but it’s in the thousands. You wanted us to do something special in Louise’s name; I think we are doing that. Our work with the Indigenous has been more difficult. These original peoples continually struggle with a desire to maintain their traditions and culture, against a temptation to succumb to political party influences and money, as I mentioned above. 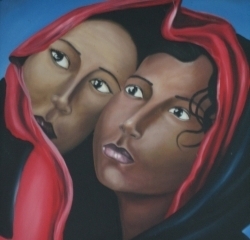 One of our longest Indigenous relationships is undergoing just such an upheaval currently. It looks more and more as though we may part company for the time being, until and unless they can regain their footing on behalf of all of their people. But you know all about making difficult decisions that nonetheless trouble the heart. The Indigenous youth cooperative is still functioning with openness and a refreshing embrace of solidarity. But even the youth are being pressured by outside sources to reflect the party line in their activities. Hopefully, their observations of party influences have given them with a sort of negative modeling of how not to organize and interact. I hope they can hold fast to the instinctive notions they have about collaboration. I hope you’re still feeling patient with the development of the Synergy Center. Mark and I continue to strategize and explore possibilities with a wide range of education institutions. We’ve met with quite a few people from around the entire country to describe the opportunity and potential benefits for both a U.S. university and people in Nicaragua. I think that many of our contacts intuitively sense the value in establishing cultural and educational bridges with Nicaraguan students and rural populations; it can be truly hands-on learning and life-changing interaction. I’m having another discussion with several educators in the Twin Cities on December 4, so don’t count the idea out yet! and environmental just relations for impoverished Nicaraguans. Your vision of a more just and peaceful existence is still driving our actions and objectives. Your passion for that still drives our own hearts. But make no mistake about it, Harold, we miss your insights and wisdom every day. I look forward to the next time we have the chance to sit and talk about human nature…. Today, we lost our founder and force. 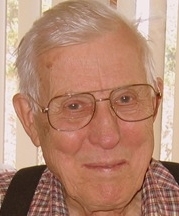 Harold Nielsen had been struggling in recent months with a chronic respiratory difficulty and this morning passed away from its relentless grip. He was 96. The world now has lost one of its most remarkable people. 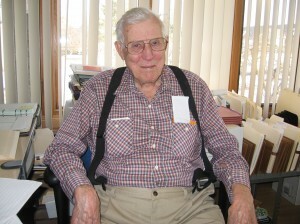 I spent some time last week with the Founder of Winds of Peace, Harold Nielsen. As usual, we had plenty to talk about: what’s happening in Nicaragua, the state of the global economy, progress on several Foundation initiatives, the presidential campaigns here in the U. S., and more. It may not seem unusual for two people to engage in conversation about such items, but I always regard my discussions with Harold as somewhat unique opportunities to learn, since he is now 96 years of age. The breadth of his experiences and perspectives grows more valuable every day, and his views of the world and human behaviors in it are lessons rich with insight. Whenever I’ve had the chance to sit with Harold and engage in such discussions, I find myself speculating about where Harold gained all that wisdom. I’m reminded of how infrequently we in the U.S. look to our most seasoned citizens for wisdom. All too often we see our elders as being out-of-date. out-of-touch or irrelevant to modern-day issues. Too bad; there’s a lot that we need to learn and in many cases they’re just the ones to teach us. There were any number of perspectives that Harold shared with me last week worthy of reflection and consideration. But perhaps the most valuable of all came not from something he offered, but rather from something he asked. (It’s not unusual for Harold to bring me to a salient realization by asking a question rather than stating an opinion.) We had been talking about our education initiative in Nicaragua when he quite unexpectedly changed the subject. He asked me to describe what it had been like to work for him over the years, what his strengths and weaknesses had been, what he could do in the future to be a better leader, mentor, and influence, and how he could become better at seeing those characteristics in others. I was startled for several reasons. First, I wasn’t prepared for a question that required such a personal, candid response. Second, even though Harold and I have worked more as collaborators than as employer-employee in recent years, my response required me to think back to his earlier roles in my life, when he was company owner, CEO, foundation patron, and I was his employee. Third, in my work experiences, Harold turned out to be, by far, the easiest and most effective “boss” I ever had; analyzing his weaknesses and areas for improvement never occupied much of my thought. While I am rarely at a loss for words, his questions left me speechless for the moment as I tried to formulate a response that was both candid and useful. Unfortunately, I doubt that I offered him anything that he regarded as helpful. Long after our time together, I was still thinking about those questions and wondering what there was about them which continued to hold my attention. I’ve been asked the same such questions many times over my managerial career, but never before did the query strike me with the same degree of surprise as this time. But I finally figured out what was so different. The difference was that the question came from a 96 year-old man who, well after most people have ceased to breathe let alone ask piercing and introspective questions, still seeks to learn about himself, still aspires to know more about his relationship with others, still wants to know how he might become better at life. What startled me was the recognition that his questions revealed the source of the wisdom that I have respected for all of these years. That source lay in the unquenchable thirst for learning that Harold has had, a never-ending curiosity about himself and others and the world around us. Far more than simply a function of advanced age, true wisdom is cultivated in the continuous drive to ask and understand, not only for one’s own edification, but for application to the circumstances of the world at-large. Wisdom eschews the notion of retirement of any kind, giving no quarter to withdrawal, forbidding us to stop the flow of natural inquisitiveness that spurred the younger versions of ourselves. The answers to the contemporary questions facing the youth of today might well be discovered in the curiosities of their elders over a lifetime of seeking. And those of us in-between are in the best position of all to benefit from the realization if we can allow ourselves to do so. Maybe all of this is well-known to psychologists and gerontologists, but it’s a first-hand observation to me. How does a 96 year-old man expect to effect change in the way that he is perceived by others, the way in which he interacts with them, the extent of his positive impact upon them? I’m not sure of the answer, but I love the question. And I may have unwittingly affirmed a secret to real wisdom….